An overall project execution plan is still a puzzle at an early stage for majority of projects. It is looking for the right information to replace fuzzy data, seeking to fill in the gap. Major data points are still more of constraints and assumptions. Even the strategy revolves around certain objectives that are more political in nature than logic-based; i.e. political dates (called economic dates), and targets, that are backed by some feasibility studies that are based mostly on assumptions (i.e. if ever they do have one). For new unfamiliar project, the first stage is a timeframe devoted to formulation, a time when scopes, options (alternatives), directions, decisions, risks, durations, and many other components are not clear. It is the stage where ownerships, responsibilities, technologies, stakes, and stakeholders are still forming. Project members find themselves dug into their workstation digging and scrounging data. Some float around their offices and water coolers talking with members of similar projects or projects that has completed. A planner/scheduler must digest news, read documents, review closed-out projects, and find benchmark information that might help pull a plan and a schedule together. He tries to make sense of management plan or a recent management announcement. It is quite difficult to come up with core alternatives if no information is available. 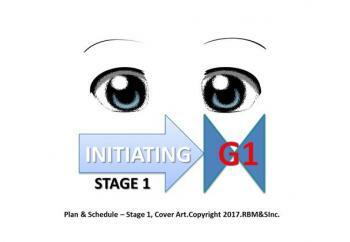 Stage 1 is the preparation of deliverables useful for stage 2. Gate 1 review makes sure that the deliverables satisfactorily passed the gate quality criteria, that they are ready for further development supporting Stage 2. Project managers must exercise caution during this stage as the absence of useful data can bring frustration and frustration can generate unsound assumptions and constraints into the plan and schedule. Such information can come from all directions driven by a mandate to deliver something right away. Some planners and schedulers in one of last year’s professional gathering talked about their temptation of putting the cart ahead of the horse when their manager pressures them to deliver. They all tried to pick the fruit before it is ripe and it is not right. Doing so is a form of intellectual deception. Judge for yourself by reflecting on two of the things they did to deliver their schedule. Three of them used high-level EPC schedule fragnet. They have employed the use of the same fragnet numerous times in various projects, passing it as a preliminary Gate 1 schedule. The person changes the name of the project and voila, an apparent schedule is already available. Adjustment to the duration to fit a perceived or mandated goal post follows. After telling their story, they did a high-five, laughing hysterically. When another planning professional said, "Yes, it is easy, dirty, and of course, without rationale, useless!," they got mad and started to argue. This attitude to the stage 1 schedule development might be the result of the notion that it is not actually a schedule the project wants but a rough high-level bar chart and a few goal posts (milestones) presented as a report on one of the preliminary planning documents. The schedule with a very wide estimating accuracy tolerance of say, +100% and -50%, or +100% and -60%. The project wants a checklist! Some create and develop schedules through the stages without basis of schedule (BOS). One of them said that his project controls manager ordered him not to bother with the BOS until the schedule is baselined. Could not believe what he said! 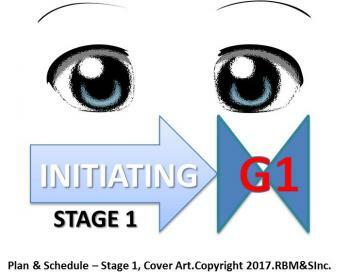 Activities and their assessments are expected to be at the highest level of details in Stage 1 mainly due to the absence of specifics. Minimum required level of details is down to areas and phases. The schedule is just a one-page report called the Executive Summary Schedule. It has few project key milestones and high-level long duration summaries of the EPC/CSU phases. My professional opinion differs greatly to some project management practitioners that it might even cause them to roll their eyes. The reason for such reactions was the suggestion of collecting as much information there was to collect, that is even if some details go down below the expected level required of Stage 1 documentations; i.e. BOS, Project Execution Plan, Project Controls Plan, project schedule, and other live documents. Such details are needed in the succeeding stages, most importantly, come execution stage so why not keep it intact? It is amazing how others remove essential details from the plan and the schedule just to keep the plan and the schedule at the highest level. One has to know that accurate reporting at the highest level become possible only through the use of certain details. A detailed schedule can do a roll up, making the high-level summary report more precise. It is acceptable to have level 2 or 3 essential activities in a Gate 1 schedule. Management can still have the Level 1 report anytime plus they have a better glimpse of the future! Project discussion in stage 1 revolves around the current gate’s greatest and most important deliverables. Information riddled with holes becomes one of the biggest obstacles. The project finds that making assumptions and what-if’s scenarios are the tentative recourse of actions. A word of caution: Project must not force the submission of Stage 1 deliverables if it is impossible to do so. This same rule applies to succeeding Gates. Nobody wants to see a situation where project teams walk in the dark hoping to get to their destination right guided only by a singular bright light from a distance. It does not effectively work that way although you’d be surprised that it happens more often than you think. Related articles authored by Rufran Frago.